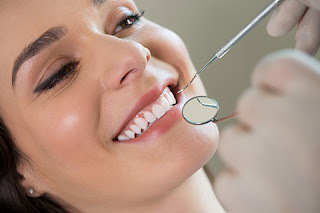 Smile Center Silicon Valley - Cosmetic Dentists San Jose: What Is Preventive Dentistry? Until a generation ago, the focus of dentistry was on repairing damage to the teeth and mouth as effectively as possible. That meant developing new materials for fillings that would last longer, creating better dentures and so on. Strides were also made in making dental work as painless as possible. The focus has now changed to keeping the mouth healthy to reduce the amount of dental treatment a person may require. By reducing the traditional cycle for extractions and fillings, the aim is to enable people to retain and use their own teeth for life. Is Preventing Problems Really Possible? There are two main causes of tooth loss – dental decay and diseases of the gums. The constantly evolving dental technology coupled with the development of newer and better oral hygiene products is making it increasingly possible to significantly reduce, if not completely prevent, the incidence of gum and teeth related conditions. Preventive dentistry can benefit even those who have lost many of their own teeth because it will increase the chance of their being able to retain those that are left. The process begins with your dentist doing a detailed assessment of the health and condition of your teeth and gums. If required your teeth will be cleaned, existing problems treated and any developing problems attended to. Based on this you will be given an oral health plan to follow. This can include everything from any special brushing and flossing procedures to be followed, the types of dental products that will be best for you and the effects of diet on your oral health. This is an often overlooked aspect. What you eat contributes to your oral health as it does to every other aspect of your wellbeing. The idea is to get your teeth and gums physically fit and then to maintain them in that condition. Your dentist can only start you off on the road to dental wellbeing by giving you a healthy mouth. Staying on track is your job. Between the two of you preventive dentistry can pay huge dividends. The American Dental Association recommends a minimum of two dental checkups every year. Start with this and build up on this partnership to keep your teeth and gums and as healthy as possible. Preventive dentistry focuses on maintaining oral health and hygiene. It is a 3 stage procedure that is simple and easy. A regular visit to your dentist is the first stage. He will repair any existing damage and fix any incipient problems. The next is to obtain the dentists guidance on how to look after your teeth and gums. Following an oral hygiene regimen will help to prevent any problems from arising. And if you feel that you do have a cavity or some other issue developing, do not delay consulting your dentist. The earlier a problem is identified and treated, the simpler is the solution. By minimizing the possibilities of dental problems, you minimize the pain and downtime that is caused and the need for time consuming treatment.